It’s time to ditch the age-old duffel bags that might serve the purpose, but look ugly as all hell, when there are so many cooler options to choose from. And bags in neutral shades, really, can almost never be a bad idea. Here are a couple of expensive and not-so-expensive choices. Travel in style with this fancy overnighter handcrafted with genuine leather, perfect for luxurious weekend trips when you want to put your legs up, snap your sunnies on and sip on a cocktail or two. This bag helps you organise all the things you might need over your short trip. 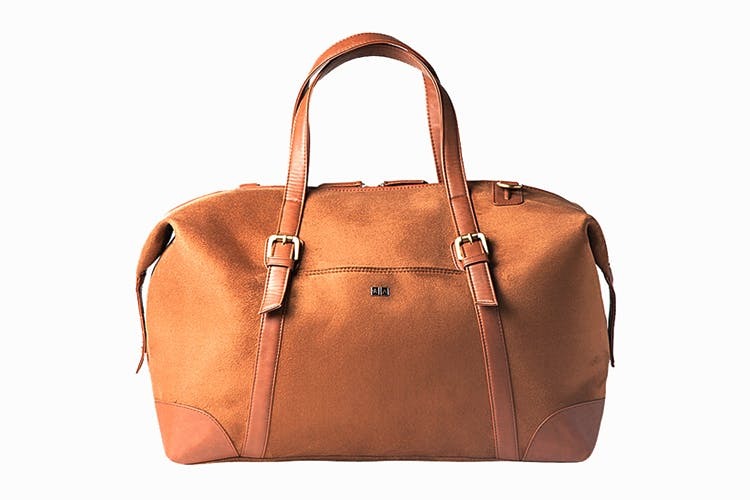 We really like the simple aesthetics of this duffel. Plus, the price has us sold.